Pigmentclar Eyes Reviews: Does It Work? Pigmentclar Eyes is a hydrating eye cream that helps to reduce the appearance of both dark and blue circles for brighter –looking eyes. It is a corrective eye product care that targets dark and tired looking eye. It helps to reduce brown circle around the eye that is caused by excessive production of melanin. Pigmentclar Eyes is formulated with ingredients that helps revitalize your skin with Vitamin C and illuminate and brightens the appearance of the under eye area. Who is the Manufacturer of Pigmentclar Eyes? The manufacturer of this cream has not been mentioned in the brands website though a number of claims have been made regarding the benefits of using Pigmentclar Eyes. 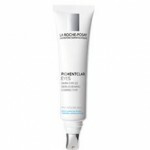 The manufacturer is claiming that the product helps reduce the appearance of dark circles and brightens and freshens the appearance of the undereye area. Phe-Resorcinol – This ingredient is known to target brown areas on your skin. Caffeine – It is an alkaloid that is mostly found in tea coffee and kola nuts. It works by lending anti-inflammatory properties to the skin and help to reduce the appearance of cellulite under under-eye puffiness. Pigmentclar Complex – This ingredient oks by reducing brown under eye circles that is usually caused by excess melanin production. Niacinamide – This ingredient helps improve circulation of vitamin B3 in the skin reducing the appearance of wrinkles. What are the Advantages of Pigmentclar Eyes? It revitalizes your skin with Vitamin C, which is vital for a healthy skin. Helps fade the appearance of dark circles. It is ideal for all skin type including sensitive skins. It helps the eye contour to look brighter. Visibility of dark circles on your skin is greatly reduced. What are the Disadvantages of Pigmentclar Eyes? The product does not contain any ingredients for dark circles. The called-out ingredients are present in amounts likely too low to be effective. The product lacks other key anti-aging ingredients many other products, including those not labeled for the aye area offer. The specifics amounts id each ingredient used is not give. Are There Special Instructions To Follow While Using This Product? Yes, apply it twice a day in the morning and evening to eye contour. Use it together with Pigmentclar Serum to target ark sport and uneven complexion on the face and lower neckline. Too many people today are affected by skin pigmentation problems. Regardless of one’s age or where they live. These pigmentation flaws often have impact on their well-being, making them look old and eroding their self-confidence. This is the main reason why people are looking for new beauty products and to reduce dark circle visibility and help to illuminate and brighten the appearance of the under eye areas. With many products such Pigmentclar Eyes and their ability to reduce the appearance of both black and blue circles for brighter looking eye people are finding it increasing simpler to face such challenges. However, it is important to be sure of the information provided about any skin product including Pigmentclar Eyes. This provides assurance of the product you intend to take and the possible effects it might have on your skin. Also, with the information at hand, it is easier to make the final decision and take the final step in regards to whether or not to use this specific product. However, it is important to be sure of the information provided about any skin product including Pigmentclar Eyes. This provides assurance of the product you intend to take and the possible effects it might have on your skin. Also, with the information at hand, it is easier to make the final decision and take the final step in regards to whether or not to use this specific product.